Muscle “knots” are mini muscle spasms can cause discomfort and tenseness and can otherwise ruin your day. When these knots are “released,” usually through massage or relaxation techniques, you can feel like a new person. Physical therapists are trained to detect and target these “knots” in our muscles. One technique they use is called dry needling, which has been proven to quickly relieve local muscle tension and pain, with little to no downtime. Dry needling can also improve range of motion and accelerate rehabilitative treatments. Here’s more about dry needling and how it works its therapeutic magic. Dry needling, the common term for myofascial trigger point release, is one of the more advanced treatment techniques to treat pain and movement impairments. Physical therapists insert “dry needles” – they’re “dry” because they contain no medication or solutions –into the trigger points in your body. Trigger points are a tight band of skeletal muscles located within an even larger muscle group. Instead of medicine, the needle itself is the treatment. 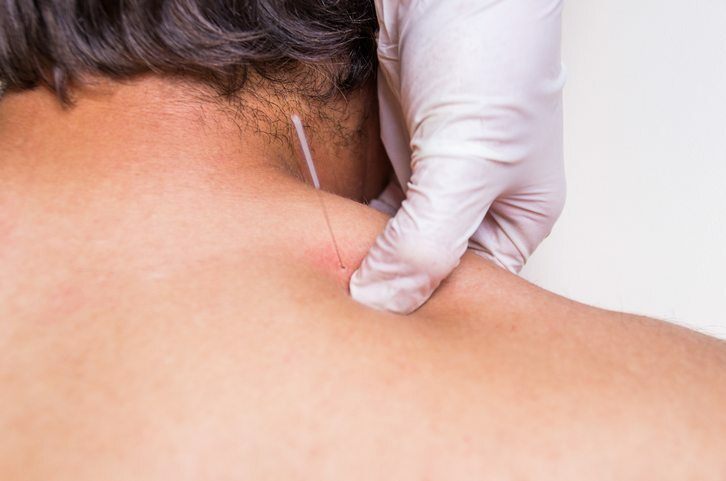 Dry needling uses small skin pricks to stimulate a so-called “twitch” response in the muscle fibers in the taut bands of tissue, which then releases the spasm or trigger point that is causing the pain. When the needle is expertly inserted into the skin, the action stimulates nerve fibers. These fibers react by releasing substances that interrupt pain signals, and also by initiating a nerve pathway that results in the twitch noted before. The muscle tissue is depolarized and as a result, it relaxes from its tightened and previously spasmodic state. But isn’t that the same thing as acupuncture? Acupuncture and dry needling are certainly related, but more like distant cousins. It could be said that dry needling is the modern cousin of the ancient practice of acupuncture. 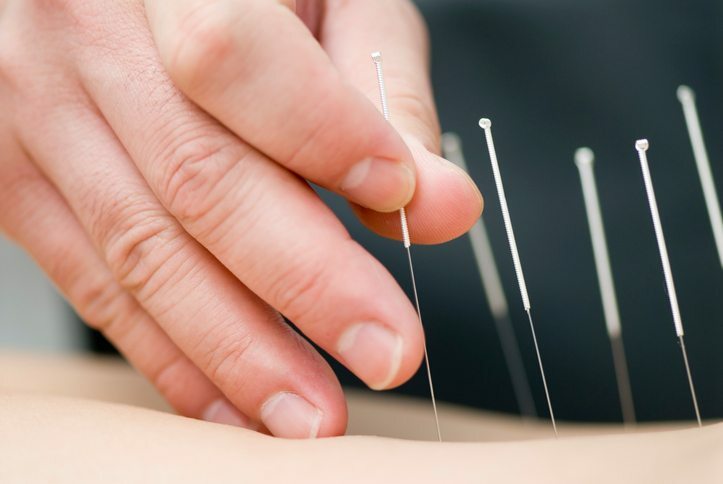 Both use needles inserted in the skin to relieve pain and improve health, however, unlike acupuncture, which aims to treat entire body systems, dry needling treats localized muscle trigger points in bands of muscle before the pain travels to other parts of the body. Is Dry Needling an Approved Technique? Absolutely, and it’s gaining popularity where people are seeking out more natural therapies that don’t require pain medication or more invasive techniques. In fact, the American Academy of Orthopedic Manual Physical Therapists officially includes dry needling as an appropriate therapy and includes it as part of the skill set of a trained physical therapist. Plus, dry needling has been shown to have a low risk of infection or other side effects. During a treatment session, you will be placed in a comfortable, relaxed position that allows the therapist to see and access the area to be treated. Usually, you will be lying down, supported by pillows to keep you comfortable in a still position. Your therapist will monitor you throughout the treatment, making sure that you are comfortable and calm. One the therapist locates the “knot” or trigger point, he will gently insert the needle into the appropriate area. Using dynamic needling (moving the needle) or static needling (leaving the needle in place, without moving it around) the therapist will keep the needle inserted for between 30 seconds to three minutes. It’s important that a trained physical therapist perform your dry needling treatment. This ensures that you receive the maximum relief from each session, and also ensures that the procedure is safe. The physical therapists and friendly staff at Endeavor Rehab Center in Texas are happy to answer any questions you may have about the dry needling procedure and whether it is a good option for your chronic pain. To request an appointment, call (512) 284-7192 or request an appointment online.